This week’s post outlines some of the ideas in my new book, Headlines from the Holy Land. It was originally published on the website of The Conversation, and later by Newsweek, and, in India, The Scroll. 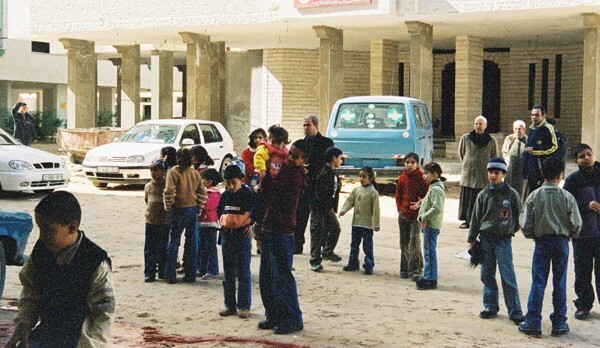 Blood ran in the gutters of Gaza that day and formed red puddles along the rutted roads. But it was the work of butchers, not bombs. That year, 2004, Eid Al-Adha, the Muslim Feast of the Sacrifice, fell in early February – so the blood from the shops and slaughterhouses mingled with what was left of the winter rainwater. Residents relaxed and rejoiced as they sat down to celebrate. A day of relative calm was a relief. The second intifada, or uprising against Israel, was in its fourth year. Just a few kilometres away – although only as the crow flies, not as a human might travel – Gaza’s Jewish settlers were about to learn of a sacrifice they would be called upon to make. Ariel Sharon, then Israel’s prime minister, surprised almost everyone by announcing that the settlers would have to to leave Gaza. They duly did – largely against their will – the following year. After Sharon’s announcement, the settlers sought to make their case in the international news media. I was the BBC’s correspondent in Gaza then. 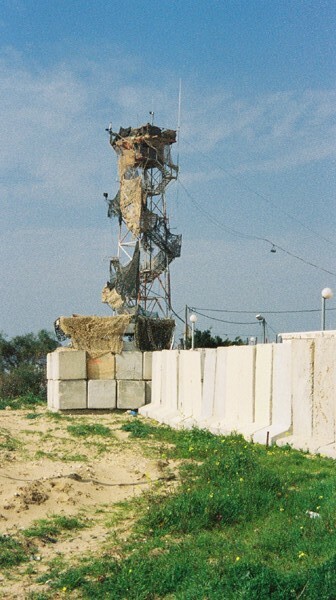 Journalists were invited to visit places – such as the settlement of Netzarim, in the centre of the Gaza Strip – which had previously been largely off-limits. They could do so on the same day that they visited a refugee camp in Gaza. The route was necessarily the long way round: out of Gaza, and then back in again via the roads reserved for settlers, but it could be done. Covering the Israeli-Palestinian conflict was, and is, a huge challenge for an international journalist. The demands are intense – pressure from all sides, sometimes physical danger – and the rewards not always obvious. The pressure, especially at times of intense fighting, frequently turns to abuse from audiences. This seems especially to be the case in the age of social media. 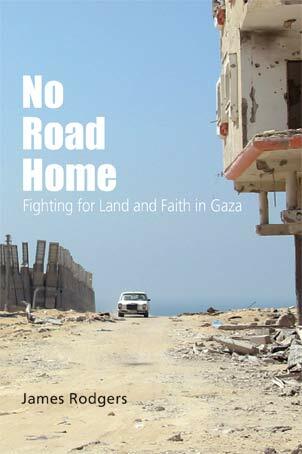 Whatever the failures of the way the conflict has been covered – both Israelis and Palestinians, and their supporters, will point to countless shortcomings – international journalists have one advantage over many others involved or interested in the conflict: they can see more of it, just like we did that day in 2004. The separation we saw then has only increased. Where a decade ago there were still some small areas of economic cooperation – casual labourers from Gaza were allowed to enter Israel. That is no longer the case – cross from Israel onto the West Bank and a big sign in English, Arabic, and Hebrew warns Israelis that they are not permitted to pass (settlers have separate roads, which are not open to Palestinians). The wider view is denied to diplomats as well – those whose task it is to write reports for governments seeking to solve the conflict. The United States and the European Union have designated the Palestinian group Hamas as a terrorist organisation. Their diplomats are not permitted to meet any of its representatives. All this is further complicated by the lack of any political process. Where an upsurge of bloodshed during the second intifada might eventually lead to more talks, the same is no longer true. Instead, if the Israeli assault on Gaza last year is anything to judge by, the violence is complemented not by a political process, but by protagonists’ attempts to influence the news media. There is another aspect which is changing. The Gaza where I lived and worked from 2002-2004 was run by the Palestinian Authority. Today, it is administered by Hamas, proudly Islamist. On the other side of the divide, Israel has a deputy foreign minister who reportedly uses the scriptures to argue that the West Bank belongs to Israel. The growing role of religion presents particular difficulties for journalism, and diplomacy. The BBC’s Middle East editor, Jeremy Bowen, himself the author of a book on the 1967 war, says: “What’s changed is that it is a religious conflict now – the growth in religious Zionism. Journalism struggles with that, too. Daily news cannot be a rolling explanation of the scriptures, but the full context of the Israeli-Palestinian conflict cannot be understood without taking into account the growing force of faith. This is something which correspondents in the region will increasingly have to contend with. Both Kurtzer and Sir Jeremy Greenstock, former British ambassador to the United Nations, used the same phrase: “Two sides of the same coin,” to describe the relationship between journalism and diplomacy. The success of both relies on getting information – and making sense of it for someone else. They both rely, too, on asking the right questions. Seeing religion as an increasingly important element of the Israeli-Palestinian conflict is vital for understanding its changing nature – even if it will not provide an immediate solution. The latest interview on No Road Home, with Bjarne Norum for the Danish national newspaper Kristeligt Dagblad, has just been published. There’s a link to it here (it’s in Danish).